I communicated with Brooks Dame recently to get an interview for the Shark Tank Blog. 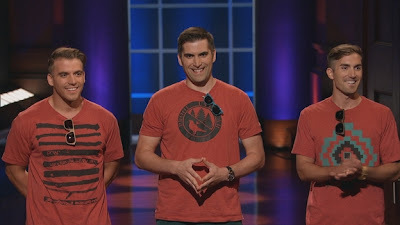 Brooks is one of the three Dame brothers that pitched their business, Proof Eyewear, on Shark Tank a few weeks ago. He told me about his grandpa's sawmill business, Proof's server woes, their eye clinic in rural India, and their incredible successes since appearing on the show. "No. Mustard. Mustard just does something to a hot dog that ketchup can't, plus there are so many varieties of mustard that can completely change a dog. I've been known to eat a dog or two in my day and I consider myself a bit of a snob when it comes to hot dog toppings." EXCELLENT answer, Brooks. I don't need any Proof that you know what you're talking about!